Steamboat Springs is the spot that 88 Olympians have called home, thanks to its incredible ski slopes. But if you only visit this Colorado hot spot during its winter season, then you’re totally missing out on all the things to do in Steamboat Springs when it isn’t winter: the waterfalls, thermal spas, music festivals and horseback riding adventures that make it a summer destination not to be missed. 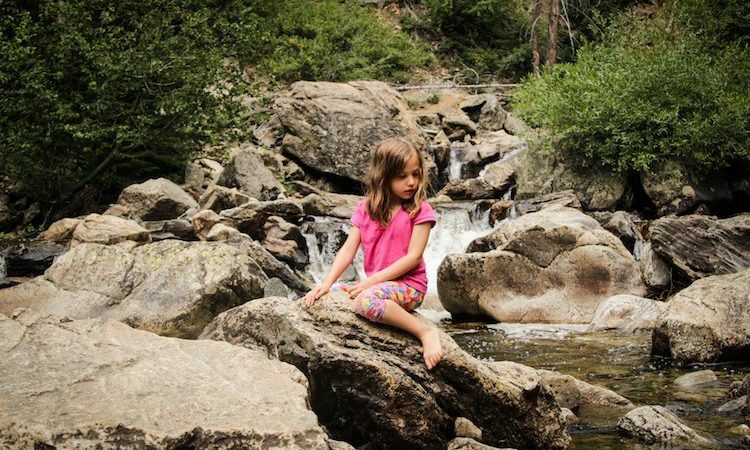 Last summer, my tweens, husband and I flew two hours from Chicago to Denver, and drove three more hours to a tiny town called Steamboat Springs before jumping into a waterfall. We were instantly refreshed. This is the type of place where you can have a true outdoor summer vacation; nearly everything to do is active and outdoorsy. Even my city kids were entranced. Bonus: Although Colorado is majorly trending, Steamboat Springs is still uncrowded and mostly local. There are two major ones here: Old Town Hot Springs and Strawberry Park Hot Springs. If I was on an adults-only vacation, I’d totally check out Strawberry Park for its adult-only swim time. 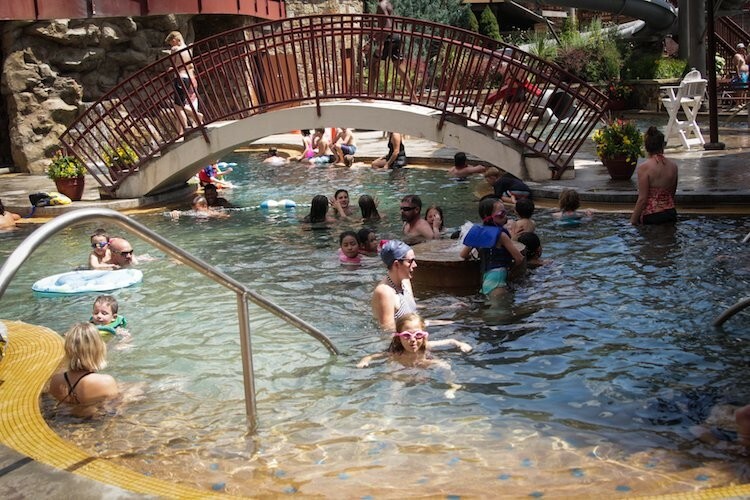 But Old Town Hot Springs is the place to be with kids. We went to thermal spas in Iceland and in Costa Rica. But we never went to a hot spring that had climbing walls inside. Fall off the wall, and you’ll go into the water. Genius. That kept my kids occupied for about 2 hours. Maybe 3. The rest of the time, they relaxed in the hot water (as did I), and they went down the very steep water slides. Steamboat Springs is one of the most beautiful places in the world, with mostly untouched outdoor space, the views of trees, mountains and waterfalls stretching for miles. That’s why it’s necessary to go horseback riding here. 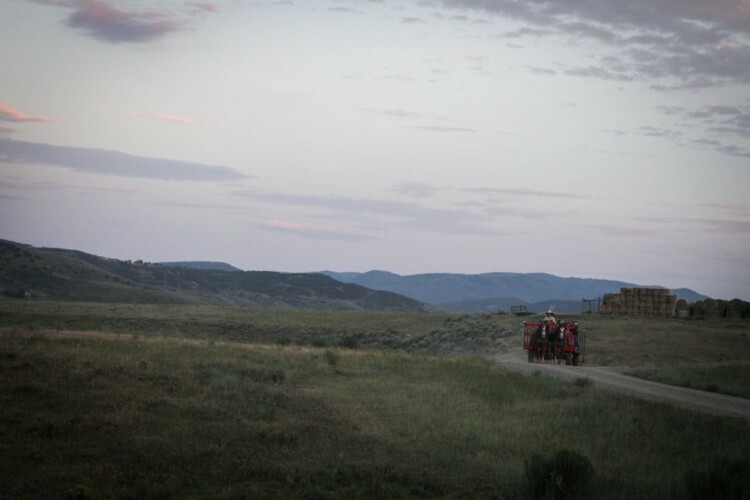 I took my tweens, who for some reason became terrified of horses as we approached Del’s Triangle 3 (about 40 minutes from Steamboat Springs). But the Del’s Triangle pros were amazing and calming, getting my nervous wrecks outfitted in helmets and onto their horses with a mix between quiet reassurance and completely ignoring their complaints, which settled them quickly. 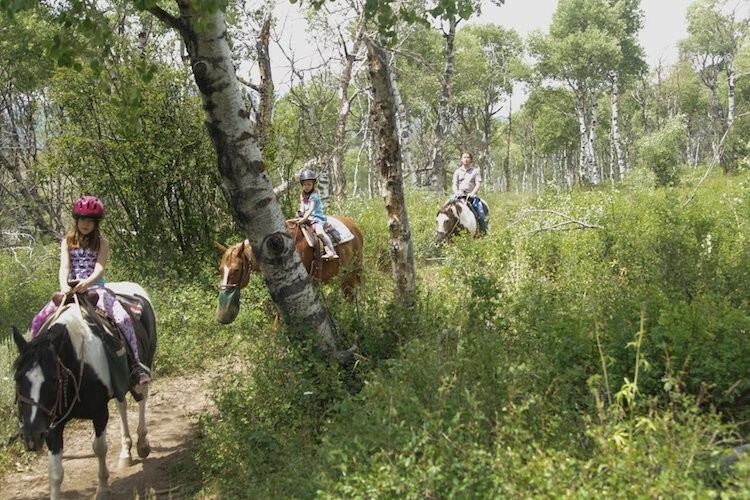 The ride was a slow walk with calm horses which was so meditative for me and exciting for the kids. These are the waterfalls you dream about but don’t realize that they actually exist. 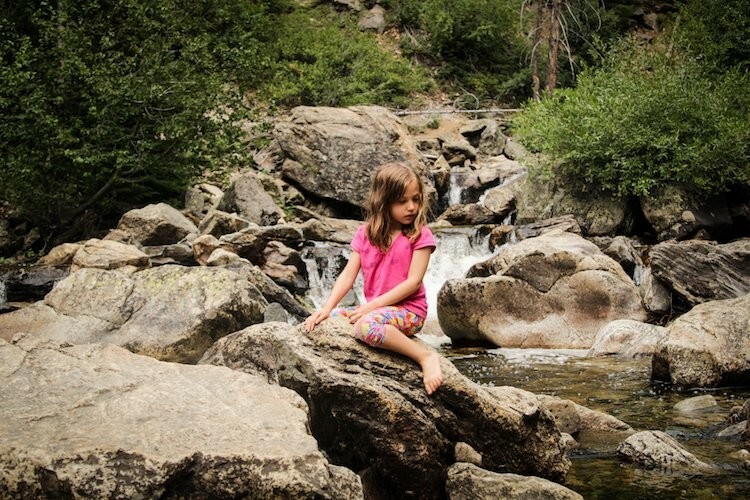 The waterfalls at Fish Creek Falls are calm enough for children to play in, jumping from rock to rock (yes, we actually did this). They are magical waterfalls that create rainbows and unicorns (not the latter, but I wouldn’t bat an eye if this were the case), the type where you want to take picture after picture because kids in waterfalls are so delicious. One of the huge reasons why people (residents and tourists) venture to Steamboat Springs each summer is because of the Steamboat Springs Music Festival. Strings Music Festival is a huge attraction, as it brings major pop, classical and everything in between musicians to this tiny town to perform on an intimate stage for pennies (or just a little more than pennies). While we were there, Melissa Etheridge was performing (“Melissa who?” asked my tweens)? Instead, we chose to see the Strings Festival Orchestra, made up of the best classical musicians from across the country. It rivaled the NY Philharmonic and the other top five orchestras (probably because almost all the musicians were from those orchestras). We (adults) couldn’t get enough of the Colorado views, and the kids wanted to check out the gondolas. Done. Unfortunately, there were signs of a thunderstorm, so the infamous gondolas were closed. Fortunately, at the base of the gondolas was more kids’ entertainment than we could ever imagine. 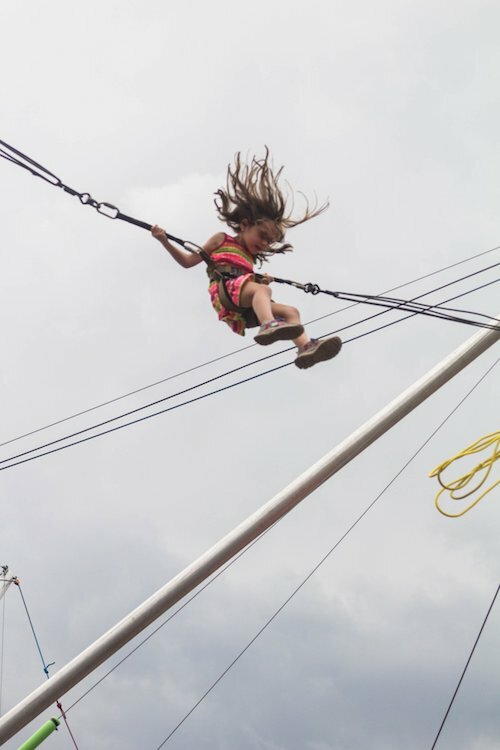 Trampoline bungee jumping, mini-golf, a ropes course, a candy store, a ball that floats on water (you get inside, and you can walk on water, too) and more were situated at the base of the gondola. It was almost as good as finding Willy Wonka’s Chocolate Factory. In fact, the gondolas appeared to fall to the wayside once we discovered these. This is everything. It’s hot in the summer, but it’s a dry heat, so 80 degrees feels wonderful and not sweaty. At night, the temperature drops to about 60, which is perfect as well, because you get to be all cozy after a long day outside. And since all the hotels and Airbnbs seem to be equipped with all the trappings made for a cozy night (this is, after all, a hot spot in the winter), you’ll want to sit by the fireplace or Jacuzzi in the evenings to rest your aching bod. Wow Danielle, I like the thermal spas. I can stay there for hours to relax.